Test, test, test, blah, blah, blah. It seems like that's all we hear this time of year. Underline your evidence. Mark out unlikely choices. Check your bubbles. Blah, blah, blah. Tests are boring. There's no way around it. We don't have much wiggle room when it comes to giving state-mandated tests, but we do have a choice in how we prepare for them! Last year, my teachers and I talked about this during PLC and decided we wanted an engaging, stress-free review for kids. 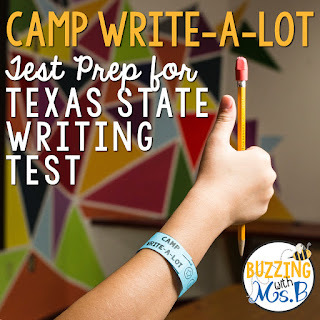 That's why I put together this camping-themed Texas State Writing test prep and review to help students get ready for their big writing test in a fun and engaging way. It's also important to help reduce kids' (and your!) stress about the big day of the test. Kids love (and remember) hands-on, interactive activities that require them to figure things out and actively apply their learning. I wanted to balance that with making sure that they had practice in the important areas they'd be tested on. Some teachers decorated the hallways or their classrooms with cute butcher paper cut-outs of trees, rivers, and bushes. 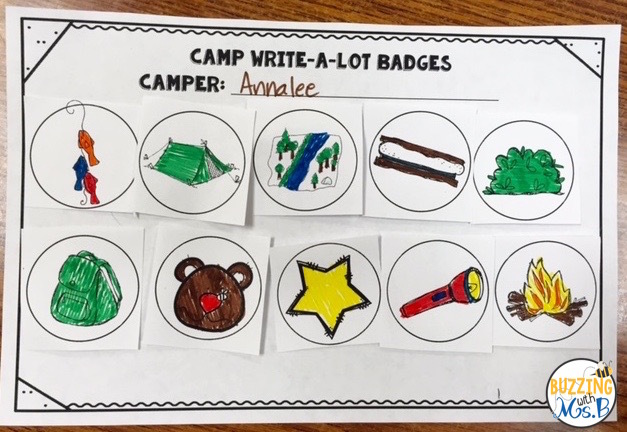 Wearing a cap or visor and a whistle adds a little camping-themed fun to the day! 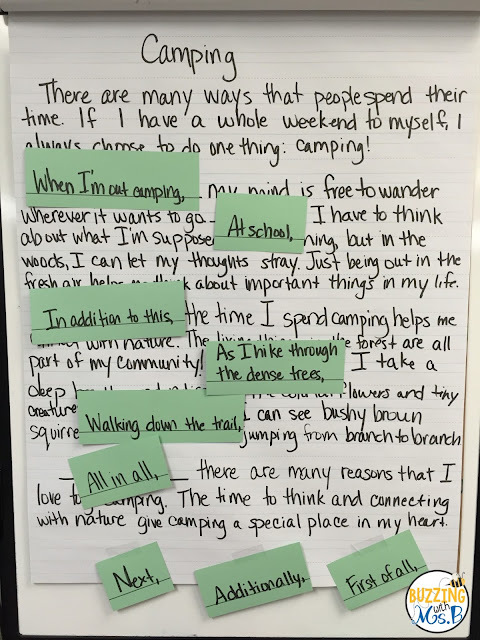 I'd also recommend reading aloud a fun camping book, such as A Camping Spree with Mr. Magee to get your day started in a camping frame of mind! We did our test prep review the day before our big test. We took the whole day and used it to go through some fun, hands-on writing stations! 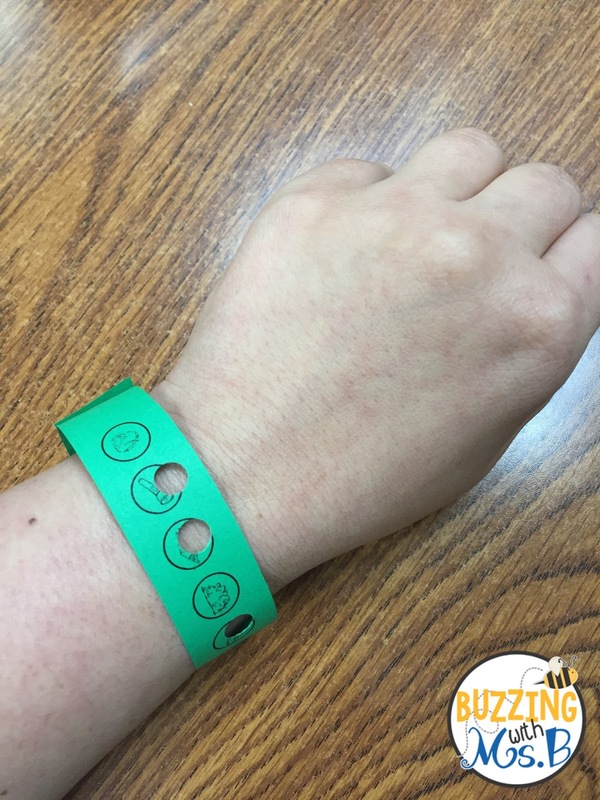 Every student got a fun paper bracelet with an image for each station on it. As they completed a station, we used a hole puncher to mark them! 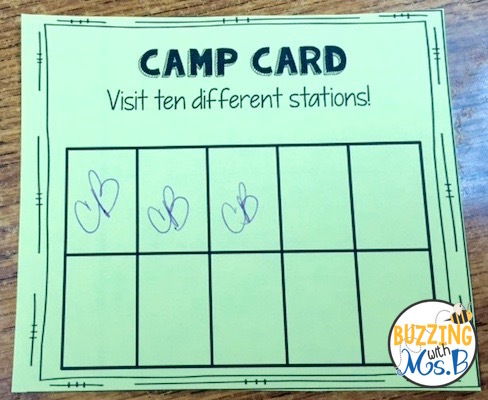 If you have a group of teachers who'd like to do this fun activity with you, you can each take a station and have kids move from class-to-class to accomplish them. If not, it's just as fun in your own classroom! 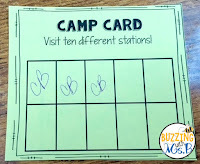 We had ten engaging stations to get through on our fun camp day. These are some of my favorites! One skill that's necessary for both revision and editing is being able to identify complete sentences, run-ons, and fragments. I recorded a ton of each of these phrases and sentences on sentence strips and had kids sort them into those three categories. 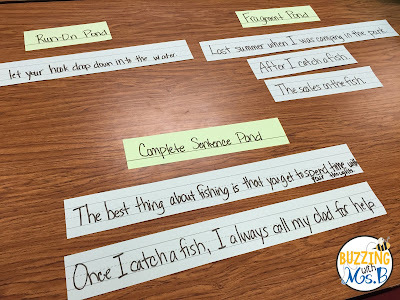 In the complete sentence category, I tried to include simple, compound, and complex sentences so students had practice in reviewing each of those sentence types. For this station, I wrote several boring compositions on chart paper. I tried to do a lot of the things kids do that make their writing uninteresting: repeating lines and words, having little development, unoriginal details. Students were tasked to revise the composition using more interesting details and sentences. They were challenged to use the skills they had learned all year to make this piece of writing engaging and convincing to the reader. As you can see, this piece is still under construction, but students have begun to think about using different types of sentences and specific language. Do your kids love using dry-erase markers? Mine always do! For this editing station, I wrote sentences on sentence strips. In each sentence there was one specific error, whether it was spelling, capitalization, punctuation, or grammar. 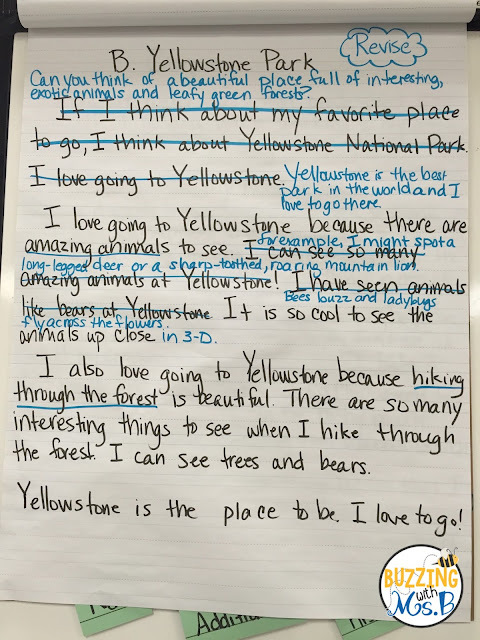 I laminated the sentence strips and had students use dry-erase markers to make the corrections to each sentence. 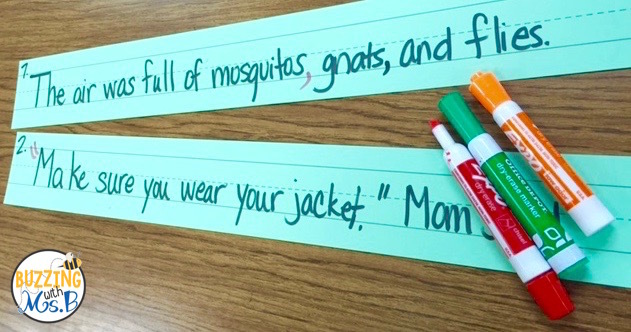 Bonus points if you have kids sort the sentences by the error afterward: capitalization, spelling, grammar, or punctuation? One area that students often need practice in is using transitions meaningfully. I decided this was important enough to merit its own station! For this station, I wrote a couple compositions on chart paper, but I left out the transitional phrases, instead marking a blank line where they belonged. I wrote the missing phrases (and a few extra ones) on some sentence strips. The kids worked in partners to figure out which sentence strips belonged in the composition to improve the flow! 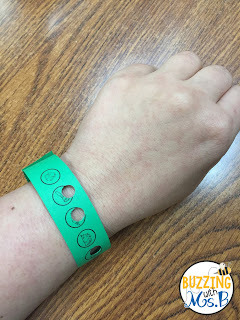 They used a little piece of tape to stick them on. You could also laminate the chart paper to re-use next year, or for the next group! In this station, kids have to engage a lot of different revision skills to create a composition out of sentences. 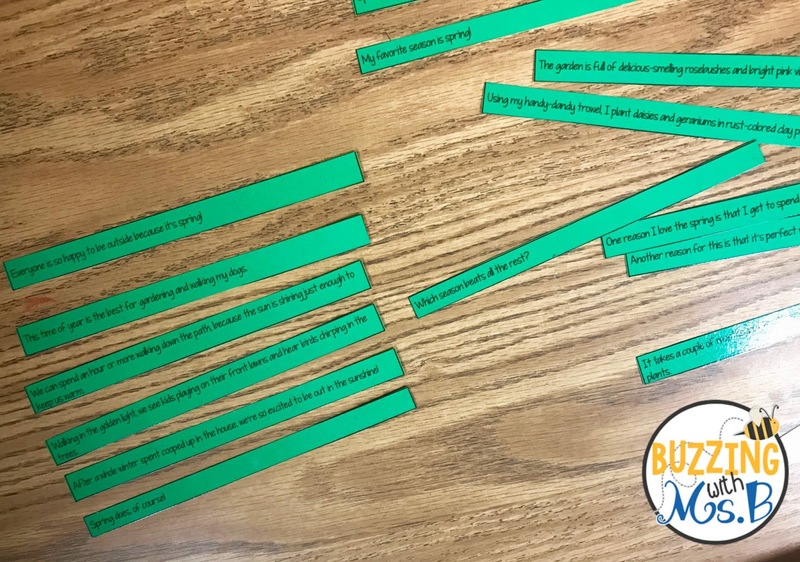 This can easily be written on sentence strips, but I typed this one out and cut it up so we could do it in a small group setting with teacher support. I wanted to use this as an opportunity to review and apply the revision language we'd been using during our writing lessons! Kids figured out the organization of the composition and then sequenced the details in an order that made sense. This station might be my favorite because it requires so many skills! 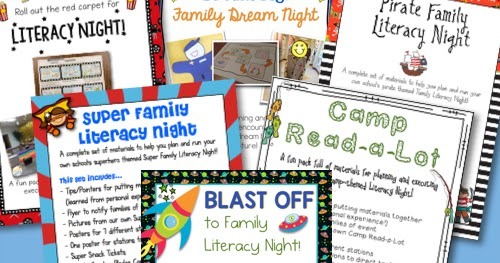 These are just a few of the fun stations we used to review and get ready for our big STAAR Writing test. It was a fun day, even though the stressful test was on its way! We can't change the test, but we can change the way we prepare for it! 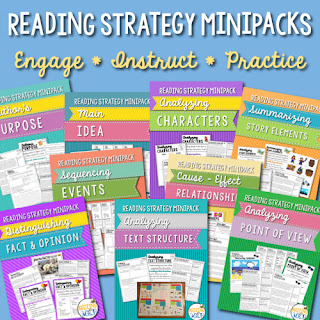 Want to grab a freebie from this resource? 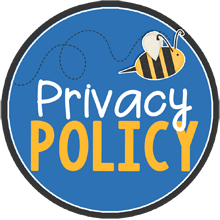 Enter your email address for a freebie sent right to your inbox! 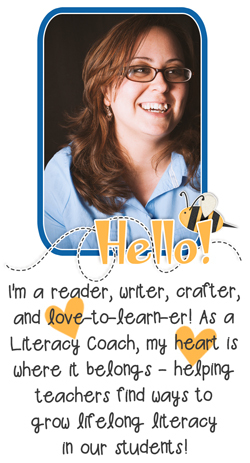 You'll also get some great writing tips and resources! What's the best part of all these stations? They can easily be made with markers, sentence strips, chart paper, and dry-erase markers! But if you're looking for a ready-made Camp Write-a-Lot, look no further! 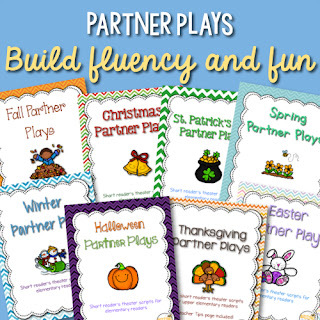 Get these stations and more at my TPT store! I have to say that I haven’t read your blog for a long time. It’s almost as if I knew that you had something nice to say about your new experience in the classroom and you had the urge to share it with your followers. 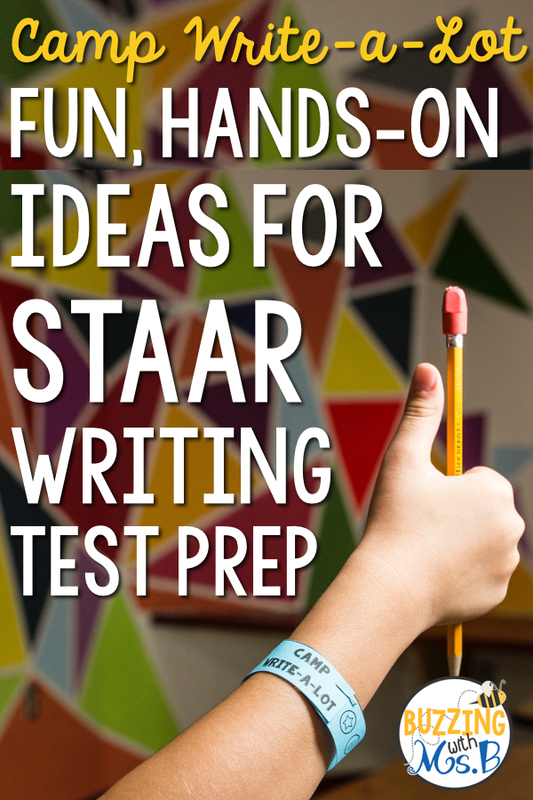 Writing test prep is a very important part of the school curriculum. 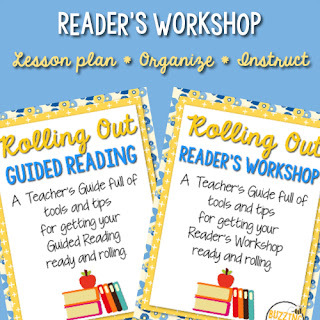 I can say that I also spend a lot of time planning the lessons in way that will satisfy the kids’ needs in preparation for writing. I can say that research papers writing service is one of the steps in the big system of being ready for a writing test. It’s just about read more just like I actually suspected you had a little something awesome to talk about pertaining to your own practical experience while in the educational setting and you simply obtained a want to talk about them with the admirers. The process of making and writing things in making works for good style for completion of task. The real big quality skills gain by making such working in order. This mention in homepage for job done.